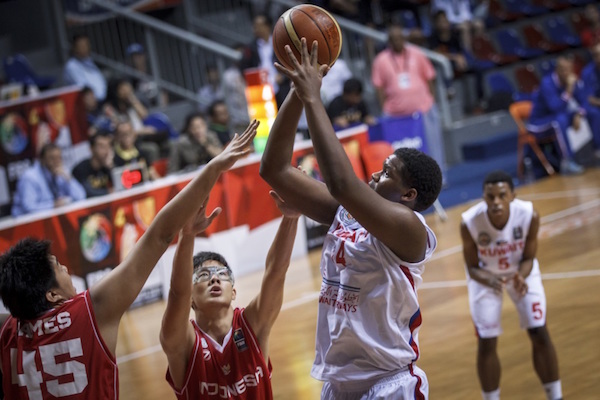 The sixth day of the 2015 FIBA Asia U16 Championship was monumental. There’s no other way to describe it, especially after the Philippines handed the Chinese their first ever defeat in the tournament’s history. Thailand and Kuwait also did well, punching their quarterfinals tickets after separate victories, while Taiwan clinched the top spot in Group E with a win over Japan. Here are the complete results from the sixth day of competition! In this battle of would-be contenders, Taiwan was head and shoulders ahead of their Japanese counterparts. Taiwan led by a dozen at the half and never really looked back in notching their sixth win in as many games. 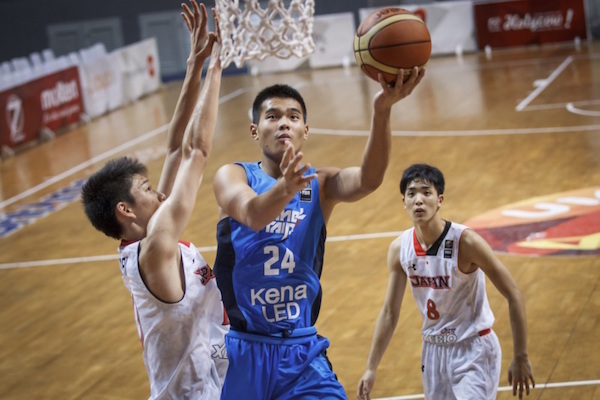 Wu Pei-Chia headlined Taiwan’s charge with 15 points, 16 rebounds, and 5 blocked shots. Needless to say, his size was just too much for Japan, which was led by, unsurprisingly, Yudai Nishida’s 22 markers. Tang Wei-Chieh and Lin Ting-Chien also impressed again for the Taiwanese with a combined 44 markers. They face the lowly Thais in the quarterfinals, while Japan braces for an uphill battle against the Philippines. 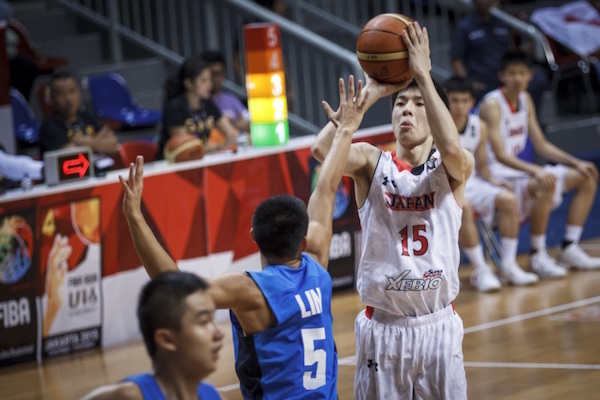 Chen Fan Po-Yen goes up strong against Japan's interior D.
Kohei Tsuneta pulls up for the jumper. Lin Ting-Chien barrels through the gut of the defense. 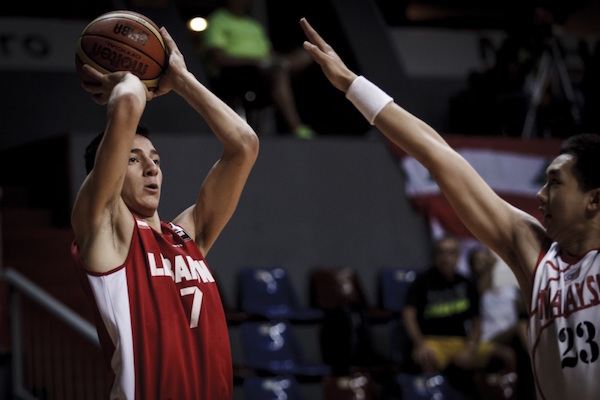 Lebanon suffered through a dry spell in the second period, which resulted in their trailing Malaysia, 39-31, at the half, but the Cedars regained their bearings in the second half to eke out this squeaker of a win. The Lebanese survived despite shooting just 32% from the field mainly because they shot much better from the free throw line. Malaysia made just 62% of their freebies, while Lebanon canned 86%. 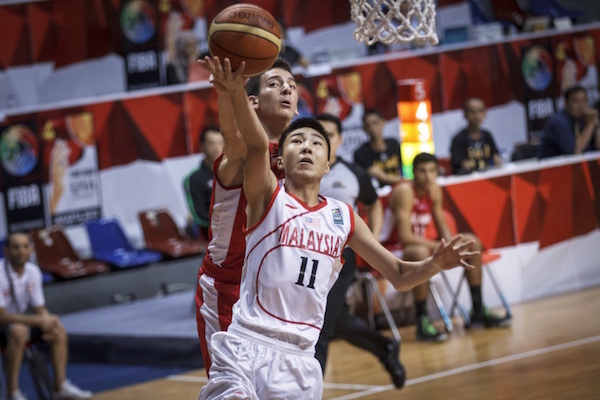 Karim Zeinoun and Salim Alaaeddine paired for 59 points for the victors, while Li Cong Ooi’s 16 points, 5 boards, and 3 assists was the best line for Malaysia, which drops out of contention. Karim Zeinoun pops the cap on a corner jumper. Le Hui Lee tries to drive past Karim Zeinoun. Salim Alaaeddine flashes his southpaw stroke against Malaysia. Kuwait had little trouble eliminating Indonesia in this critical match, which decided the final team who will represent Group E in the quarterfinals. 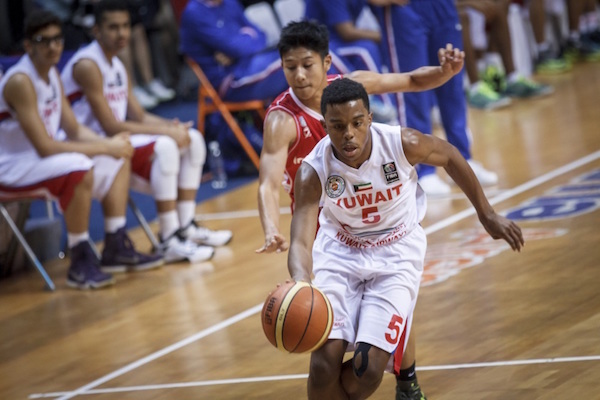 Kuwait pounded the Indons on the boards, 62-37, and also outshot them from the floor (44% to 31%) in recording just their second win of the competition. 6’5 Mohamamd Hasan dominated with 20 points and 16 rebounds for Kuwait, while Masaed Al-Outaibi added 25 markers, 8 boards, and 4 triples. On the other end, Andre Rizqiano had 15 points and 7 rebounds for the home team. Kuwait takes on defending champion China in the next round. 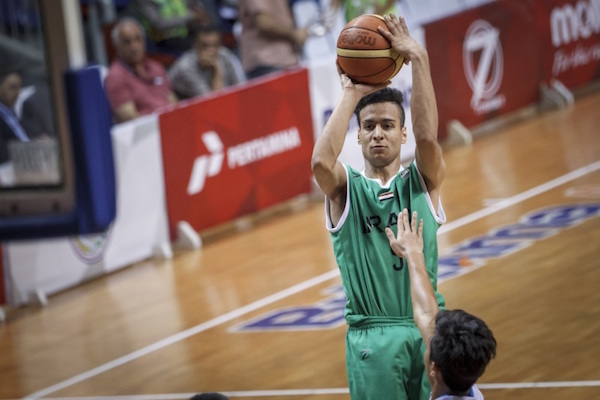 Adel Madeed helped Kuwait clinch a quarterfinal berth. James Alvaro tries a baby hook in the paint. Mohamamd Hasan dominated for the Kuwaitis. Hasan Al-Fahad gave Iraq its last firm lead at 46-41 with three minutes left in the game, but the Thais uncorked a pivotal 11-3 finishing kick to turn the tables on their opponents and qualify for the knockout phase. Pongsakorn Jaimsawad’s shot with 8 ticks left gave Thailand the lead for good at 50-49, and Jdar Sonsem’s two free throws iced the final tally. Thanakrit Limjittakorn was the finest Thai cager here with a dozen points on top of 5 rebounds and 5 steals, while Natthaworn Banchathon tallied 17 markers. 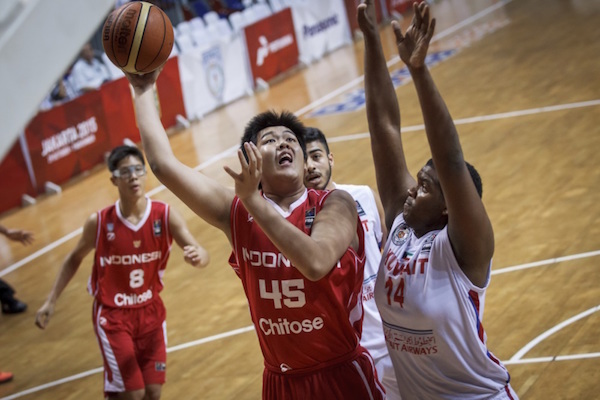 Ahmed Jasim paced the losing side with 12 points and 13 rebounds. Abdullah Abdullah was held to mush lower than his scoring average. Pongsakorn Jaimsawad came up big for Thailand in the final minute. Thanakrit Limjittakorn celebrates as the Thais advance to the quarterfinals. The final result was unprecedented, unexpected, and unbelievable, but, lo and behold, there it was. China fell at the hands of a Filipino team that compensated for its size disadvantage by shooting the lights out from beyond the arc and forcing turnover after turnover from their more fancied foes. 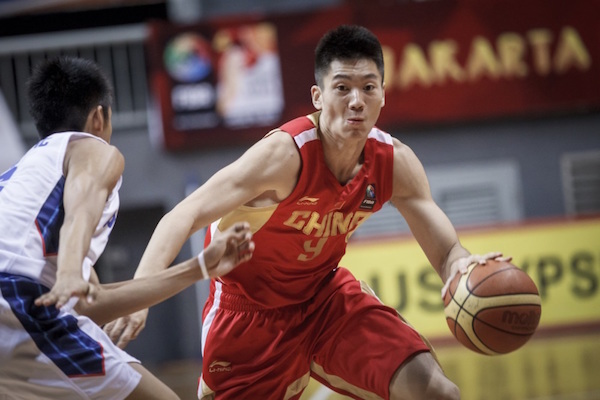 The Philippines stole the ball 19 times in this one, which led to 27 total Chinese turnovers. This helped offset China’s +25 edge in rebounding, but it was the Pinoys’ three-point shooting that really took the defending champs down. Down 72-67 with under two minutes to play, Batang Gilas unfurled an 11-0 blast that overhauled their deficit and overwhelmed their opponents. Harvey Pagsanjan, Jason Credo, and SJ Belangel each hit a three-pointer in that span, with undersized forward Jonas Tibayan also adding a twinner. In all, the Filipinos rifled in 13 treys — the most for them in one game. Prior to this match, the Philippines had been shooting only 21% from rainbow country, but they waxed hot at just the right time. Long-limbed Gian Mamuyac led the way for Batang Gilas with 22 points, 5 asssits, 3 steals, and 2 blocks, while Pagsanjan, Belangel, and Credo all scored in double-figures. 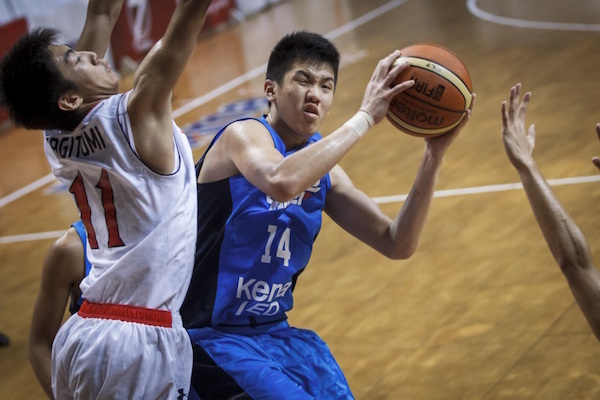 Bai Haotian paced China with 21 markers, while Zhu Rongzhen added 16 points and 13 boards. Bai Haotian and the rest of China couldn't close out the Filipinos. 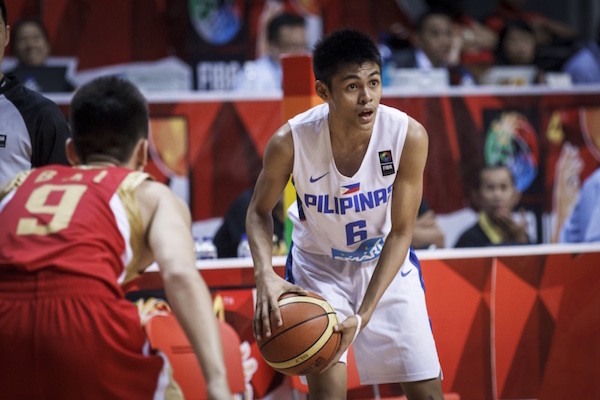 Gian Mamuyac was brilliant as Batang Gilas tripped the mighty Chinese. 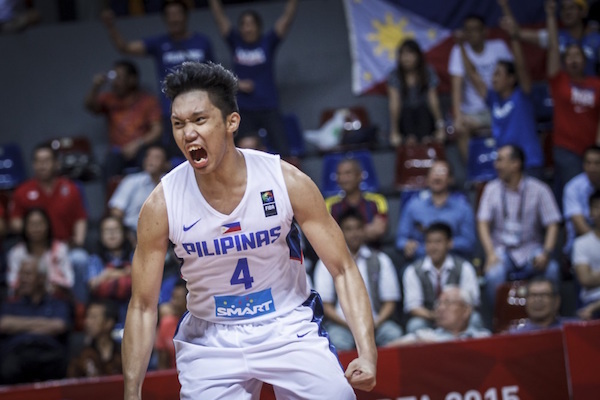 Jonas Tibayan reacts after the Philippines iced their giant upset! 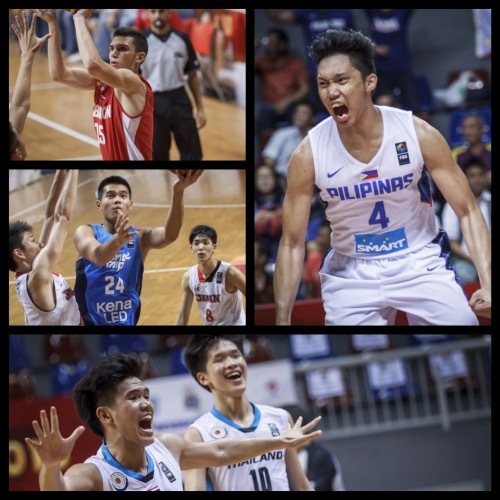 HERE'S THE HUGE 11-0 RUN OF BATANG GILAS IN THE LAST 2 MINUTES OF THEIR HISTORIC WIN OVER CHINA! Korea wasted no time in showing the difference in quality between these two teams. The East Asian side built a lead of as high as 33 points en route to their fifth win in six games. Despite their record, though, they finished with the third seed in Group F after China’s loss. 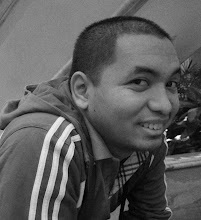 This created a three-way tie for first place, and Korea’s quotient was the inferior compared to China’s and the Pinoys’. Shin Min-Suk came up big again here with 18 points and 5 rebounds, while Seomoon Se-Chan added 20 markers. 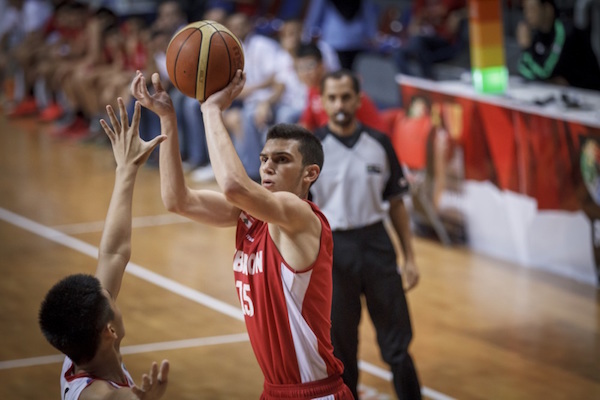 Karim Aboukuora was the brightest spot for Bahrain with a 10-point, 19-rebound double-double.